Phoenix® Integration provides product development softwares to aerospace companies, defense contractors, and heavy industry. 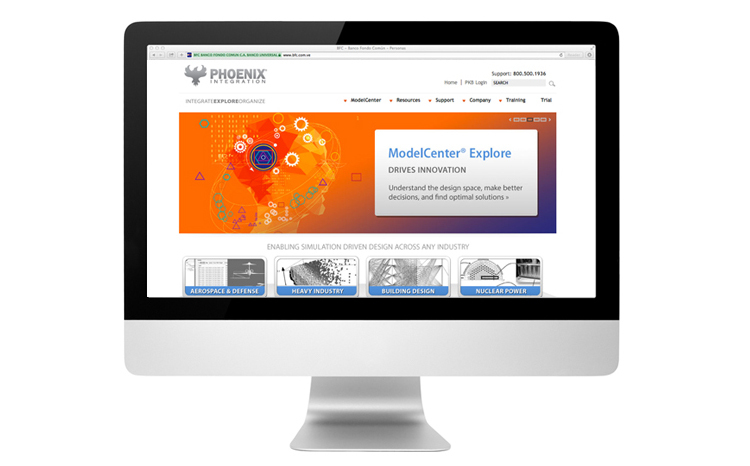 Initially, Phoenix® Integration developed and introduced PHX ModelCenter and Analysis Server, software tools focused on workflow integration and multidisciplinary design optimization. I worked as part of a team while working in Brand & Design Agency, Neri Design Group as one of the leading designers selected for this project. The project consisted on repositioning of their main software solution, ModelCenter®, into three distinct capabilities modules was required to provide more effective marketing and communication strategies to both existing clients and prospective new industry verticals. To create compelling, intuitive, and self-explainable names, graphic representations, and messaging that communicated the core value propositions for each of the three ModelCenter® capabilities within a six week timeframe. I did this project while working in NDG and my core responsibilities were to design the graphic representations for each capability and collaboratively with the team develop the names for each ModelCenter® capability. 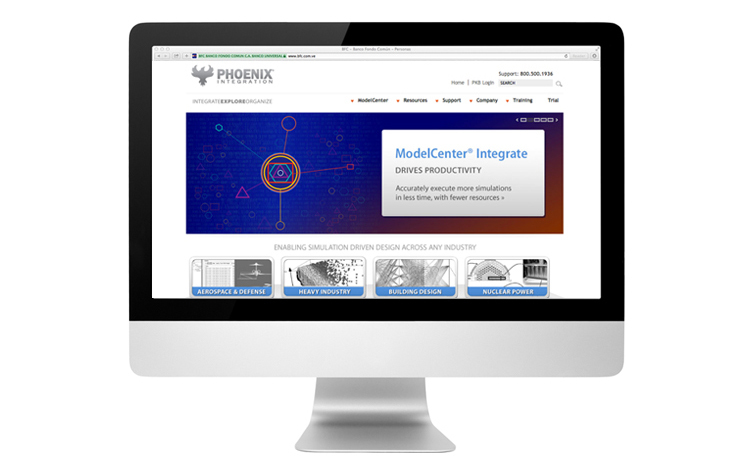 In order to portray the software solutions capabilities, we named them: ModelCenter® Integrate, ModelCenter® Explore and ModelCenter® Organize. Each name communicating the unique and essential value proposition of each ModelCenter® capability. We provided Phoenix® Integration with the visual literacy to communicate these value propositions through the graphic representations. 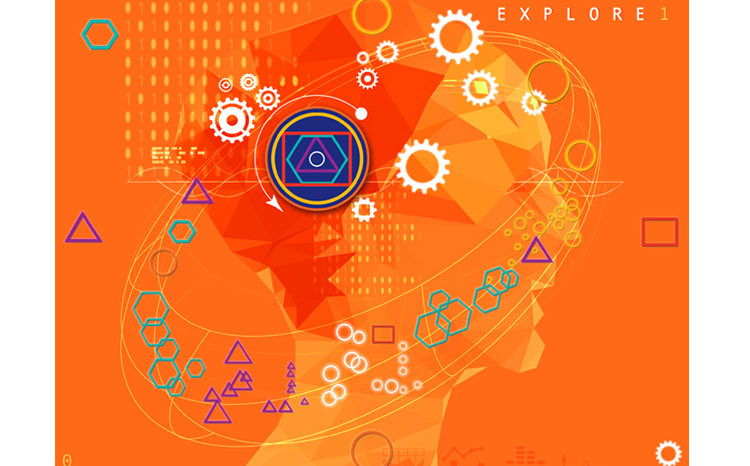 Using elements inspired by Sacred Geometry, our intention was to create vibrant, geometric and attention grabbing compositions that would narrate pictographically what each software solutions capability offers. We built a graphic system based on Sacred Geometry and a color palette that reflects the harmonious integration of seemingly unrelated parts. The different shapes represent the disparate systems that, when combined and integrated, create a simulation. The Sacred Geometry is what makes these dissimilar shapes seamlessly work together, as ModelCenter® does with the different systems used in simulation. Three graphical representations were developed for each ModelCenter® capability.